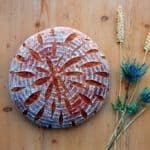 Buckwheat galettes are a weekend breakfast staple in our house and the wonderfully distinctive taste of buckwheat flour makes for interesting bread baking too. 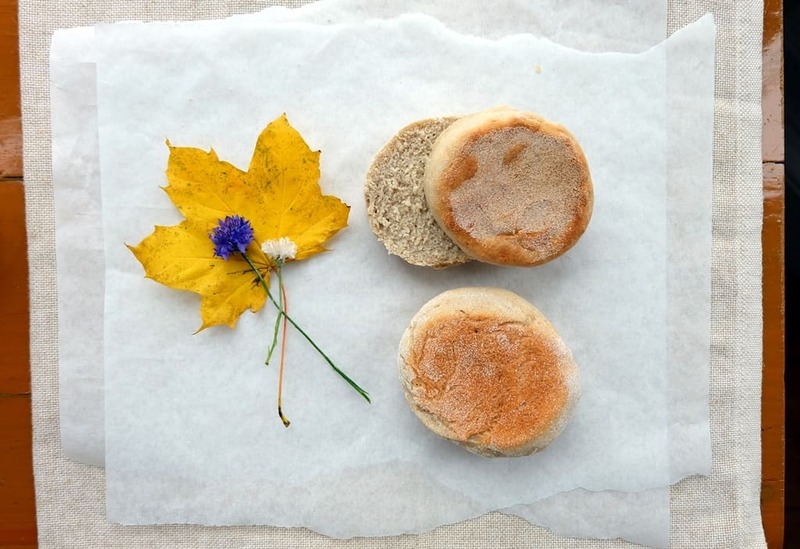 There is quite a variety of robust tasting breads and bakes you can achieve with buckwheat. 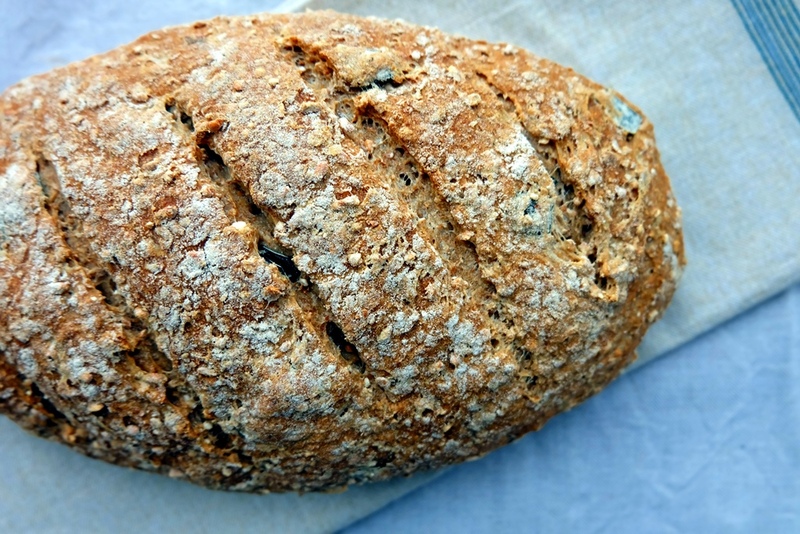 Here is my selection of the best buckwheat bread recipes. Buckwheat isn’t wheat. It’s the seed of an annual cold-climate loving plant belonging to the rhubarb family. The seeds are pointed and triangular in shape. Buckwheat is sold as groats (hulled whole buckwheat), as kasha (toasted buckwheat groats) or flour. Buckwheat flour comes from the milled de-husked seeds of the buckwheat plant (fagopyrum esculentum). The fine-textured, grey-ish flour usually comes as wholemeal with the full de-husked seed being crushed. Buckwheat has a strong, distinctive, nutty flavour. Buckwheat flour is gluten-free and is used in gluten-free baking to add flavour and nutritional value. It’s popular in Eastern Europe (blinis and kasha) and Japan (soba noodles). The biggest producers of buckwheat are Russia, China and Kazakhstan. Buckwheat contains higher levels of zinc (helps to bolster the immune system), copper, and manganese than other cereal grains. It is also a useful source of rutin which is thought to help control blood pressure and to possess anti-inflammatory and anti-carcinogenic properties. The Distillerie des Menhirs makes a pure buckwheat whisky, described here as ‘smooth, strange and unique’. Would love to try it! No matter what rocks your taste buds, buckwheat has an answer. 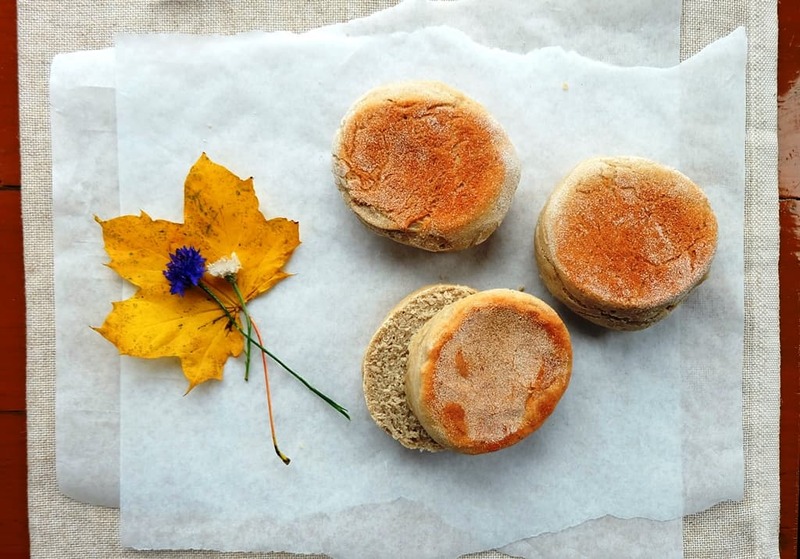 A world of possibilities opens up when you start looking at baking with buckwheat flour and I’ve collated a list of some of the very best recipes. 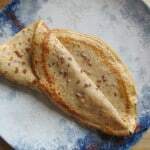 Here are my top 10 buckwheat flour and pancake recipes, followed by my own recipe for a sourdough bread with buckwheat flour (see below the list). 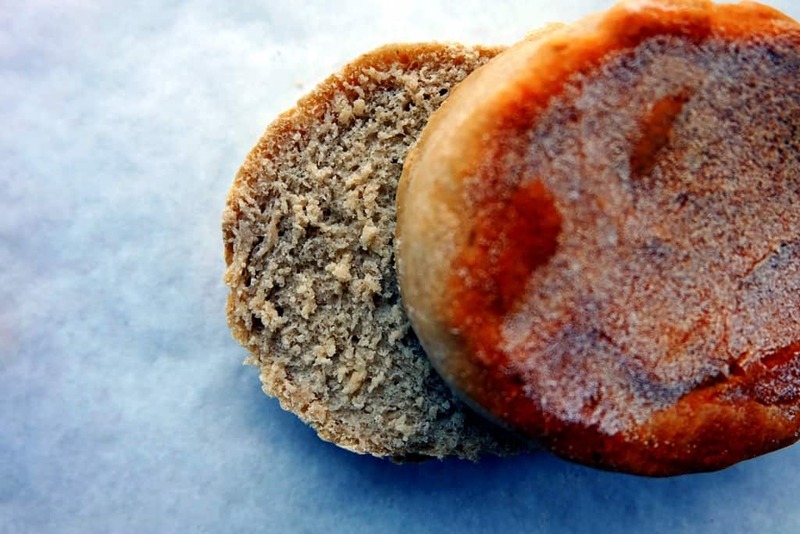 A recipe inspired by the region of Brittany; ingredients include buckwheat flour, wheat flour, kombu seaweed and dried yeast; ideal with seafood, think oysters, scallops or mussels. Great with smoked salmon; ingredients include buckwheat flour, wheat flour and sesame seeds. Note though, that I used about 3-4 times as much water as used in the recipe to bring the dough together. 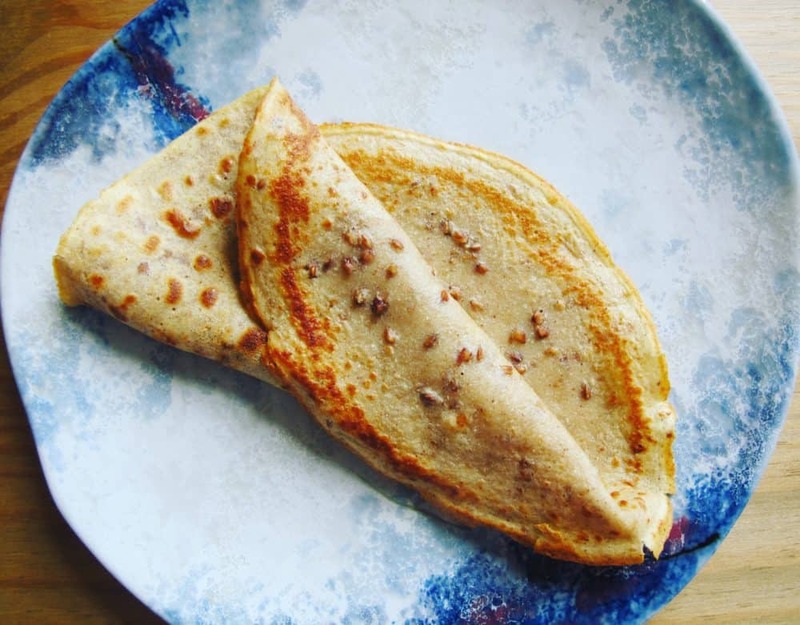 A buckwheat flour pancake recipe from the North of France, using 100% buckwheat flour and filled with ham, cheese, spinach and eggs. An inspiring raw food recipe worth trying; ingredients include sprouted buckwheat, sun-dried tomatoes, courgette, apple, avocado and flax meal. If gluten-free soda bread is your thing, here’s a good recipe to try; based on buckwheat flour and potato flour. This yeast-based recipe combines buckwheat flour, cornflour, linseed and psyllium husk powder with water, yoghurt and olive oil to form a wholesome loaf of gluten-free bread. Don’t expect them to puff, but these buckwheat flatbreads taste superb with souvlaki and tzatziki. Another breakfast special; for some reason buckwheat works particularly well when served early in the morning! 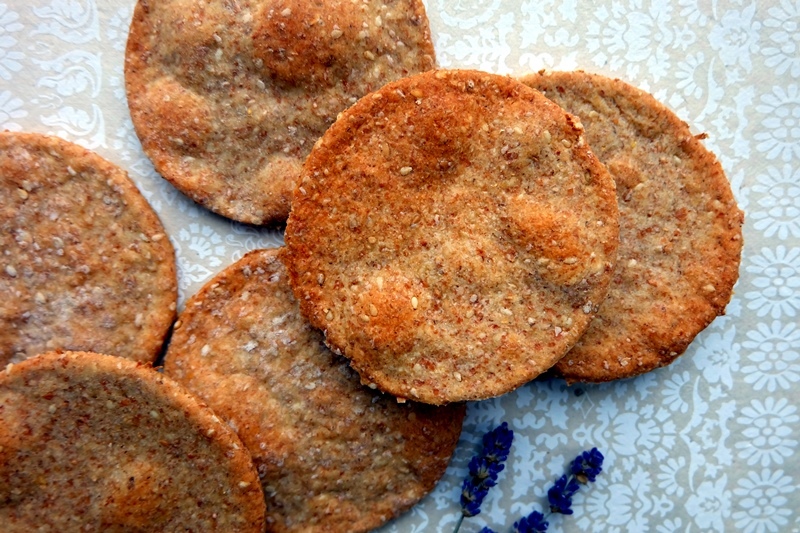 An innovative take on the traditional almond-based Florentine biscuit, this recipe includes raw buckwheat groats and a vanilla cashew coating. I love the versatility of buckwheat! This is my tried and tested buckwheat bread recipe, using sourdough to leaven the dough. The buckwheat flavours are subtle and well balanced. 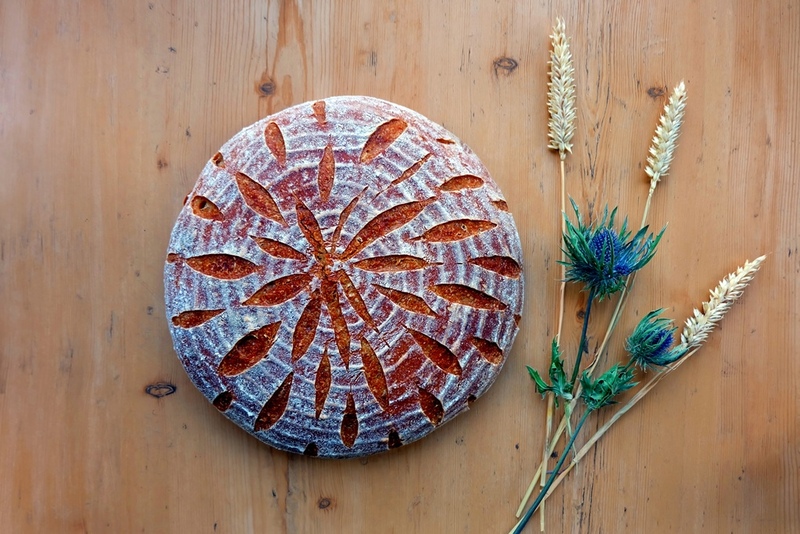 This is a delicious and wholesome bread, with the flavours of buckwheat subtly infusing the sourdough loaf. This buckwheat bread recipe is the perfect bread for both savoury and sweet toppings, ideal for breakfasting and snacking. Prepare the sourdough 12 - 14 hours before you make the main dough. Combine the sourdough starter, buckwheat flour and water in a medium, cover and leave to rest at room temperature. When you are ready to make the main dough, combine 120g of the sourdough mixture (the rest should go back into the fridge for your next bake), the wheat flour, the additional buckwheat flour, the water and salt and form a dough. Knead for a good 10 minutes until you have a smooth and elastic dough. Use your dough scraper to help with this process. Place into a bowl and cover. Leave to rest for an hour or two until visibly risen. Prepare a proofing basket by lightly dusting it with flour. 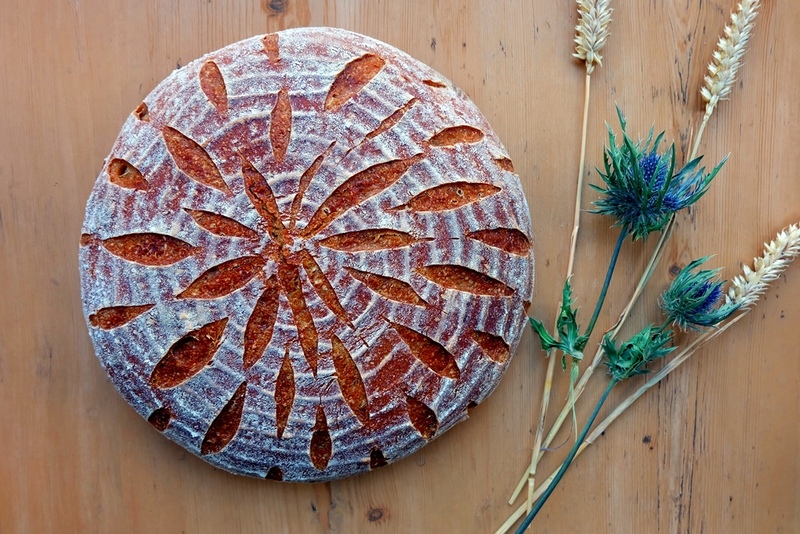 Punch down the dough and shape into a round loaf. Bathe the dough in flour (I use rice flour) and place seam-side up into the proofing basket. Cover the proofing basket with a polythene bag to keep the moisture in and prove for several hours at room temperature until risen. Preheat the oven to 220°C and if you are using a baking dome, heat this up from cold in the oven at the same time. Turn out the loaf from the proofing basket onto the baking dome plate (or baking tray lined with baking paper), score it with your scoring knife and cover with the baking dome cover if using. Place in the oven and bake at 220°C for 15 minutes and at 190°C for a further 40 minutes. Take the lid off the baking dome for the last 10 minutes if using. Bought a big bag of buckwheat flour and not sure what to do with it? There’s a packet of buckwheat groats sitting in your cupboard waiting for its time in the limelight? I feel your pain! Luckily… I have a solution. With these buckwheat groats pancakes you will be going through your buckwheat supplies in no time! Hidden away in the depths of David Tanis’ book “Heart of the Artichoke and Other Kitchen Journeys“, I found this wonderful recipe for buckwheat galettes which he serves with ham and cheese, but I recommend smoked salmon and cream cheese with rocket dressed in rapeseed oil, lemon and garlic; a great dish for weekend brunch. I also really like the addition of buckwheat groats and have opted not to mill them. It makes for a lovely texture and looks good too! Prepare the pancake batter the night before making the buckwheat pancakes. Combine the flours, eggs, milk, salt and groats in a medium bowl and whisk together. This should be done on the day before making the buckwheat pancakes - for me this is usually Friday evening. Next morning, take the batter out of the fridge and give it a good whisk. Get ready to make the pancakes by heating a pan over a medium heat. Add a little bit of butter to cover the base of the pan. I use a silicone brush to distribute the butter across the base of the pan. It'll make moving and turning the pancakes easier. Add a ladle full of pancake batter to the hot pan and move from side to side until evenly distributed. Brown on one side before flipping over. Remove and set aside (keep warm in the oven until the others are done, cover the pancakes to prevent them from drying out).